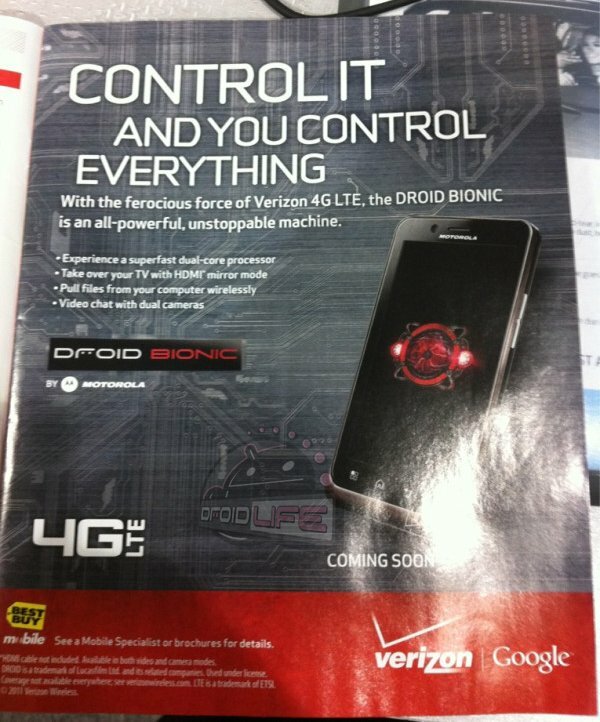 Remember the Best Buy poster that featured and teased the DROID Bionic almost a month and a half ago? It looks like that was a mockup of the ad that would find its way into September’s Buyer’s Guide – the same one that features the white Droid Incredible 2. Clearly, there are no additional details concerning a launch since we now know that this was put together some time ago, but it’s nice to know where it was headed. A rumor started yesterday suggesting that the device could launch as early as August 26, but with that not being a Thursday, I wouldn’t put too much money on it. Would be nice to see it early – I just get the feeling that after all of these delays, that pushing the launch up is the last thing on either Verizon or Motorola’s mind. This phone better release without 1 single bug or they won’t hear the end of it. That may sound harsh, but with a product making its way into customers hands almost 4 months after it was originally scheduled to, the expectations are going to be sky high.